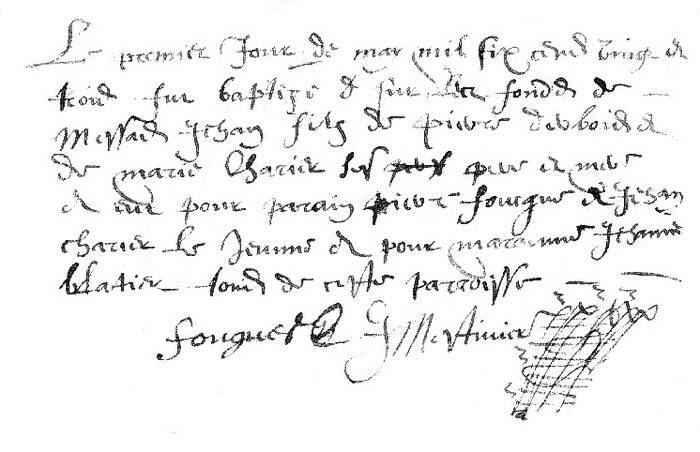 Joachine Lafleur was a Fille du Roi (see 2nd notes below). Joachine Lafleur was a Fille du Roi. 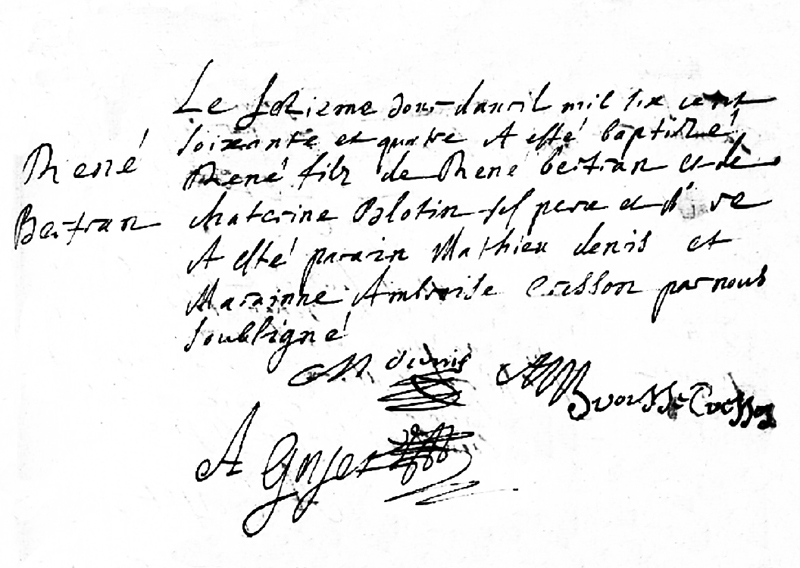 Joachine was born about 1644. 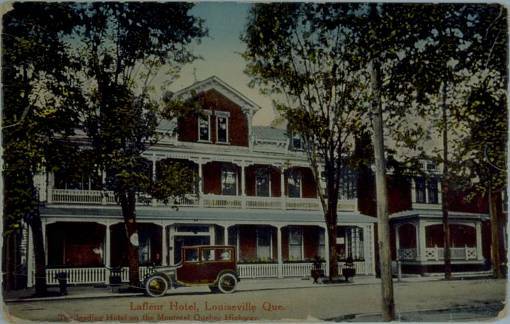 Her parents – Charles Lafleur and Jeanne Gasket – were from Cheffois (Vendee, France). She died after February 10th, 1698. [Genealogical notes – French]. See above for Quebec marriage.